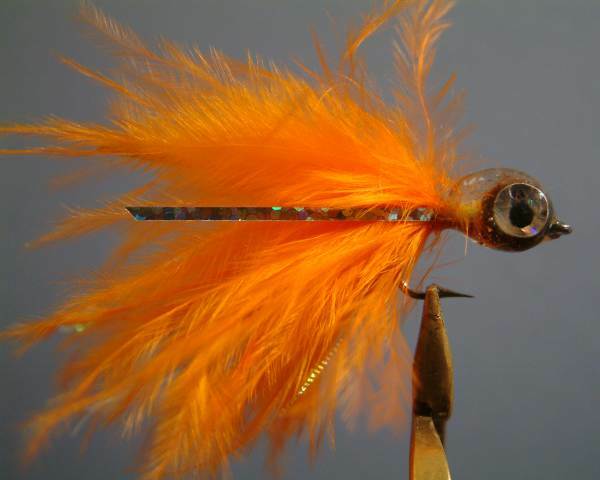 2) Stick the eyes onto the lead bead. 3) Now epoxy an even head and allow to cure. 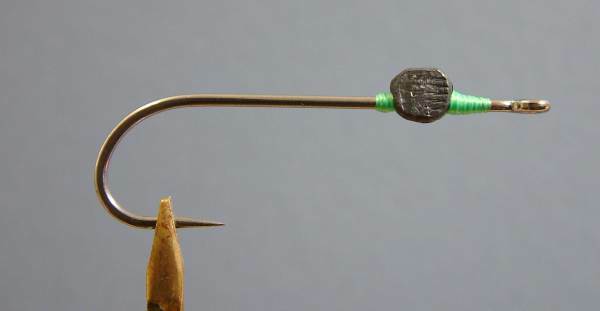 Avoid vigourous mixing as it causes unsightly bubbles as shown below. 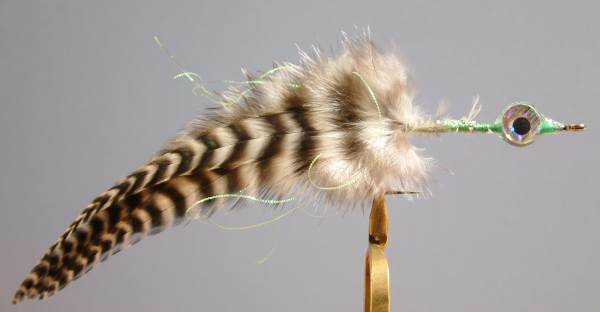 4) Tie in a bunch of flash above the barb of the hook with 3 Hackle Feathers either side of the hook Shank Deceiver style. 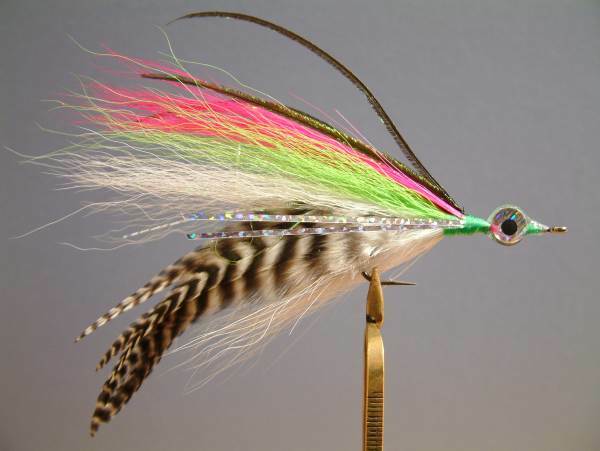 5) Tie in the bucktail of choice above and below the hookshank forming the classic Deceiver shaped body. 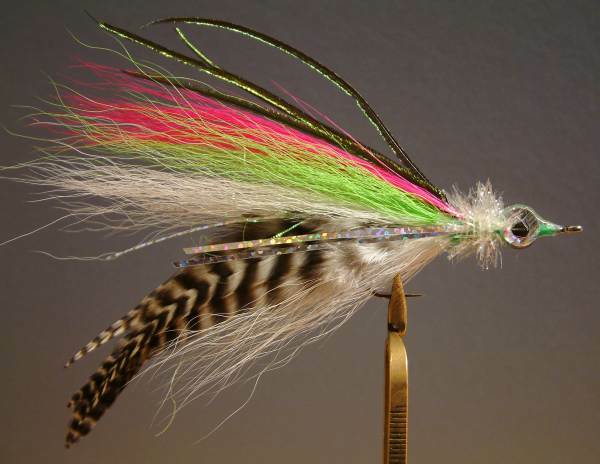 Then Tie in some Ostrich Herl on top of the Bucktail and add some more lateral Flash. 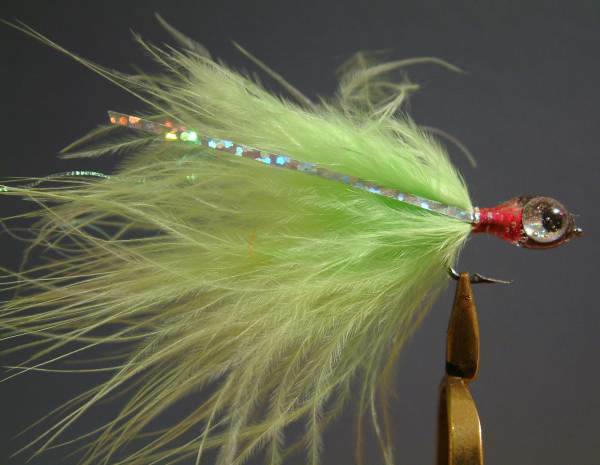 6) Finish with a Cactus Chenille collar behind the head. 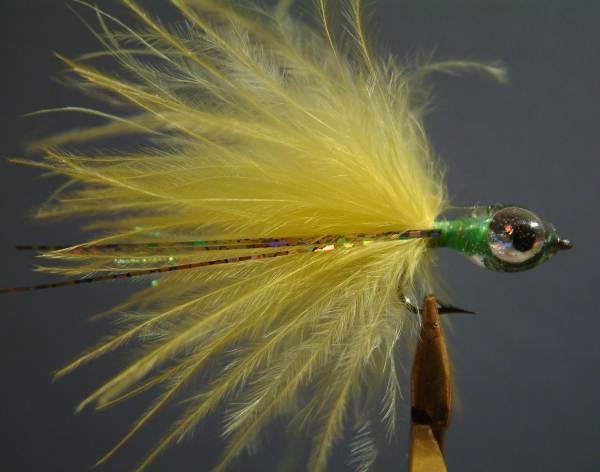 Fish this fly with a fast strip and pause as used for a Clouser. 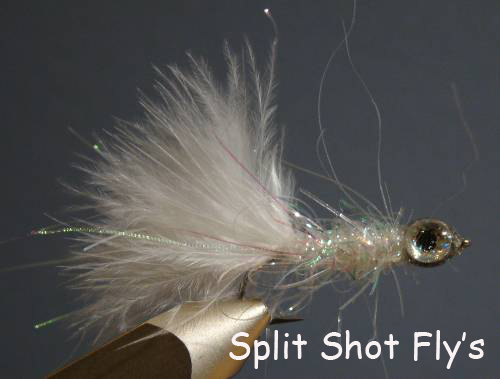 The weight of the split shot gives this fly a wonderful undulating motion that is irresistable to shad and other gamefish.